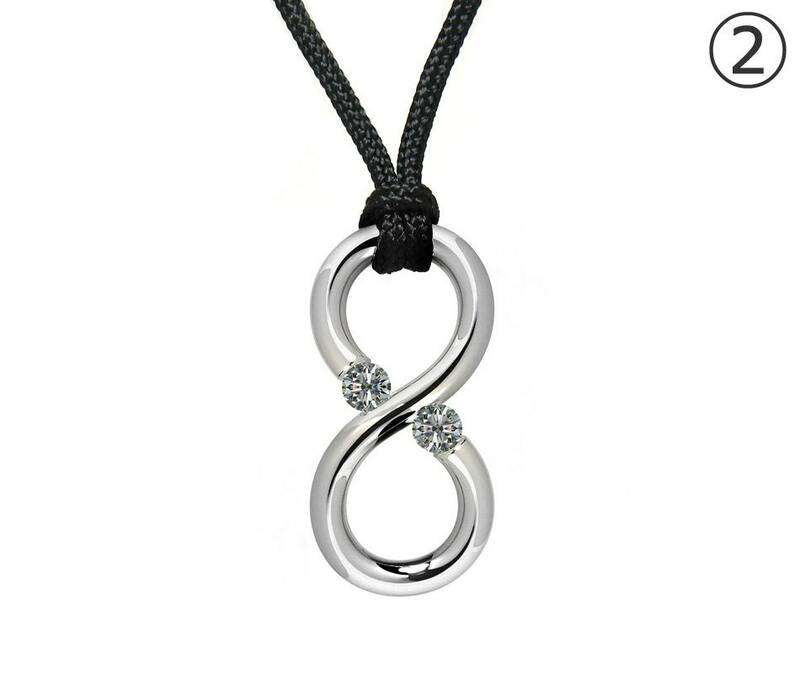 Elegant Infinity Pendant with vertical bail in polished Stainless Steel with Tension Set White Sapphires. 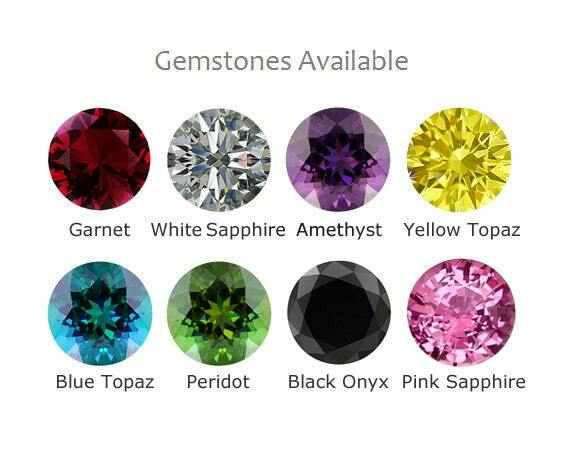 Gemstones available (same price) are: Black Onyx, Peridot, Garnet, Pink Sapphire, Blue Topaz, Yellow Topaz, Amethyst. NOTE: You can choose to have 2 of the same color or 2 od different color. Ideal for celebrating 2 children. If you would like 2 different gemstone, please during check out Indicate it in the "message to seller"
Note: This Necklace is MADE TO ORDER: Don't forget to Indicate the Length In the "message to seller"
7 to 10 business days to ship - Free USA Shipping. 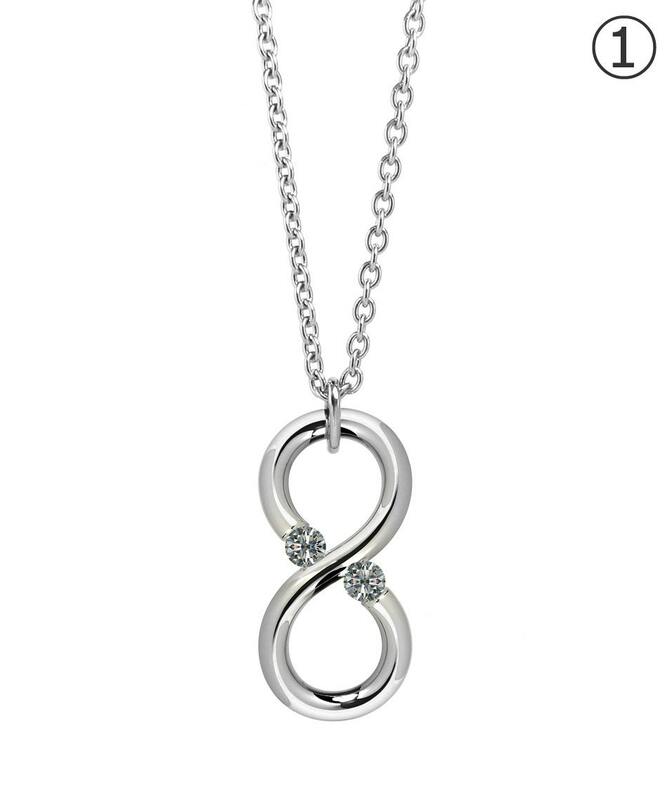 - The infinity necklace can symbolize unity, eternity, empowerment or everlasting love. - Thanks to the Steel's springiness we were able to set the stones or beads only by its shank, without the use of common prong and bezel settings, which tend to loosen with wear and tear. The stones overlook is fully exposed in its beauty and brilliance. The mounting is stronger than most conventional noble metals and one of the benefits is the elimination of the uncomfortable entanglement of prongs in wool clothing etc...By statistical, practical and mechanical point of view this kind of setting will never loose the Stone. Only by the use of a special tool, a Stone can be de-mounted from this settings. 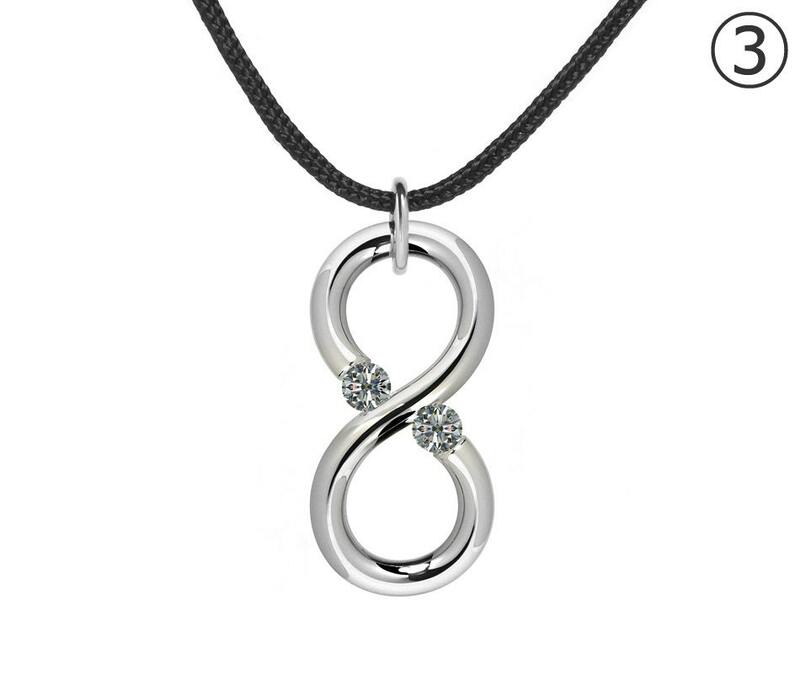 - High quality Stainless Steel 316 is revealing a new vista for jewelry designs, as you can now be adorned with indestructible fashion statements: looks just like Platinum but 1,000 times stronger, and much less expensive. It is clear, hard, radiant, very durable, it needs little maintenance, waterproof and will never tarnish, is not subjected to oxidation (if you swim with Our jewelry they will not rust) and wear and tear.